Is an economy model the best option for you? A luxury vehicle perhaps? Or an SUV? Whether you’re taking a business trip, zipping around a foreign city or embarking on an unforgettable road trip, choosing the right rental car is key to making sure that you enjoy the journey. There’s no one option that’s ideal for everyone however, so in order to help you pick the best for your trip, we’ve put together a brief guide to the pros and cons of some of the most common rental classes. The benefits of this class are evident in the name. Not only are these generally the cheapest models to rent but they also tend to be some of the most fuel efficient vehicles in the fleet. As if the double savings weren’t enough, the size of these cars can also be helpful. Economy models are often small, zippy little things, perfect from getting around city centres with minimum hassle. 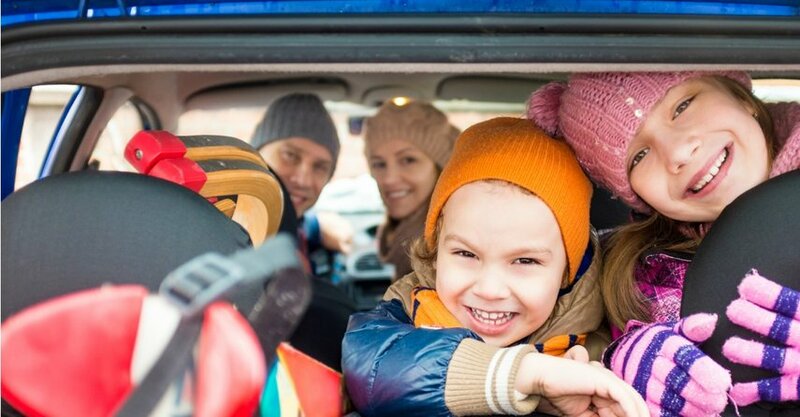 Of course if you’re bringing the family along for the ride, that small size may not work well - and some will prefer a few more bells and whistles than are provided in an Economy vehicle. Because it’s a relatively new vehicle class, you may not be able to find a Hybrid model from every rental supplier, but it is becoming an increasingly common option. While Hybrids tend to be a bit more expensive than Economy vehicles, it’s hard to beat them when it comes to fuel efficiency - great for long hauls. More importantly for some, this is the most eco-friendly option. Plus, you get the experience of riding in a piece of cutting edge technology. Hybrids may not be exactly the cars of the future, but they’re certainly a major step in the right direction. They have a lot of advantages when it comes to functionality (especially if you’re planning to do city driving) but most won’t be winning beauty pagents anytime soon. Sure, Economy models are cheap to drive and rent but when you need to stretch out, you’re better off with a Full Size vehicle. This is a great option for family road trips if you have a couple of kids - the roomy size gives everyone the personal space they need so that long car rides don’t become a study in cabin fever. Opting for a Full Size model generally means that you have a bit more power at your disposal too, as these cars tend to have bigger engines. The main downside to Full Size vehicles is the fact that they tend to be a bit more thirsty when it comes to fuel consumption. There are quite a number of upsides to choosing an SUV. Some people enjoy the fact that the "sports utility vehicle" gives you a higher vantage point on the road around you, while others make good use of the extra space they offer. Not only are most SUVs more roomy for passengers than your average sedan, but there’s also a decent amount of storage space to be found in the back. Some SUVs also have a 4WD option, although they’re not really designed for off roading (not to mention that most suppliers aren’t okay with their vehicles going off the beaten path). They certainly aren’t the most fuel efficient option out there though, so if you don’t need all that extra space it might pay to go for something a bit smaller. The Mini Van class is perfect for those times when space and numerous passengers are your primary consideration. Most vehicles in this class carry eight people comfortably, with a decent amount of space for luggage. They’re not going to be taking to the race track any time soon, or walking away with the ‘world’s sexiest car’ award but they’re extremely good at what they’re designed to do: transporting a bunch of people from A to B. Whether you’re embarking on a big family vacation or road tripping with a group of close friends, there’s no denying that the Mini Van class has its uses. These are the crème de la crème of rental fleets - the car of choice when you really want to make a good impression, or indulge yourself a little. The Luxury class line up will vary from fleet to fleet but you’ll often find Mercedes, BMW and Chrysler models among the high quality vehicles available in most places. The obvious drawback to this class is its price point - understandably these vehicles are more expensive than most other options, but they certainly have a lot to offer in return. Booking a luxury car rental also gives you the chance to try out cars that you might never have the opportunity to drive otherwise - there’s nothing wrong with wanting to feel like James Bond just for a weekend! Ultimately, you’re the only one who can decide what kind of rental car is best for your trip. Once you’ve chosen the class, it’s easy to find a whole bunch of vehicles in that style, from a wide range of different suppliers, on Airport Rentals. Discover your ideal rental vehicle today and go for a drive with your friends or family in any country you like: Australia, Canada, New Zealand...and much more! From exploring the glories of New Zealand’s South Island to crossing the continental United States, rental cars have taken me on journeys that I’m likely to remember for the rest of my life. I hope to help you discover the secrets and surprises awaiting you as you set out on the open road.